Being a contractor can be a rough and tumble business. Just because you’re used to getting your hands dirty, though, doesn’t mean you can’t make professional looking estimates. Putting together quality estimates can make a huge difference in your company landing more business, so it’s worth taking some time to know what to include and how to make them look good. What do I include in an estimate? Job description. Explain the work you’ll be doing. This should capture what the customer has asked you to do and not leave any question as to what constitutes a completed project. Materials and labor. Provide a high-level view of the necessary materials and labor and the costs for each. Don’t get too detailed here or picky customers can take you to task over how many screws you used on a job. Total cost. Clearly and correctly tally up the total costs of the project. This is a big one. Make sure you’re clear on your payment terms (we always recommend that contractors receive a third to half of the total cost up front. Make it clear when the final payment is due and any late payment penalties they may incur. Sales and company contact info. Don’t be lazy here, make sure the salesperson provides their phone number and email address along with your company’s contact info and address. If a potential client has questions, your estimate should make it very easy to get in touch with you. 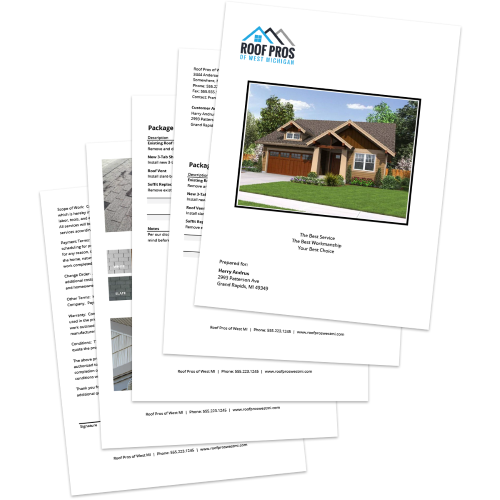 How do I make a professional looking estimate? First and foremost, don’t write up estimates by hand. This can make your business look unprofessional, and there’s no excuse with the number of options available now for quickly and easily putting together a nice-looking estimate. You can easily find professional looking templates online that you can type up on a laptop or you can use an estimating app like JobFLEX. Using JobFLEX, you can to quickly and easily create a PDF of your estimate from a smartphone or tablet. With a few taps you can build out a quote from a pre-loaded list of products and services, complete with descriptions and pricing. You can even add pictures while you create the estimate! Why have this? Now that you know how to make a good-looking estimate and you know what you have to include, how else can you improve your odds of winning the job when you make an estimate? For starters, get your quote to your customers ASAP. If you take your sweet time putting together a quote and the next contractor doesn’t, who do you think the customer’s going to choose? If you use an app like JobFLEX you can actually create an estimate while you walk the jobsite, and can email a PDF before you head to your next job. You can’t get an estimate out faster than that. Another thing to be aware of is your pricing. If you’re not competitive in price, you’re not going to land business from anyone who does their due diligence by getting a few different quotes. HomeAdvisor’s True Cost Guide can help you see what similar services are charging in your area. Even if you’re unsure how to write a professional estimate, if you follow the advice above you’ll be well on your way to creating better estimates and landing more business. If you want to take your estimating game to the next level, why not give the JobFLEX app a free trial today? 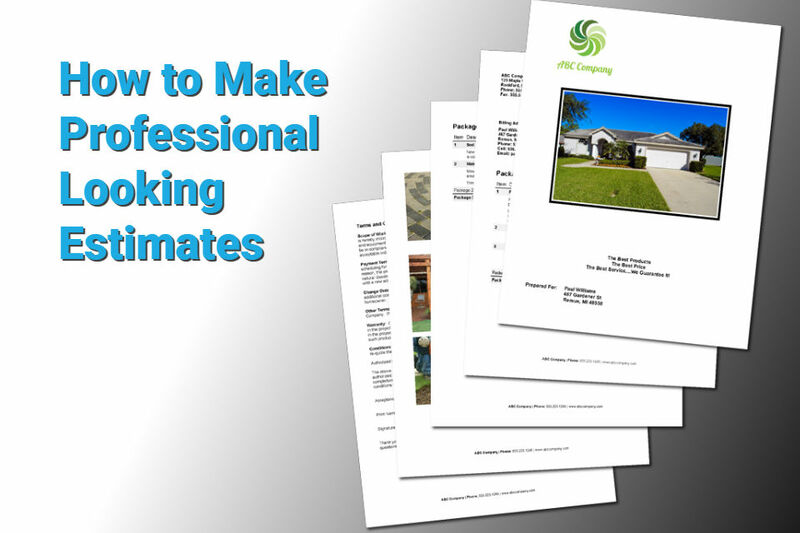 Follow the link below and see just how easy creating estimates can be.